***Does not contain actual Yellowtail. I know it may be hard to believe but divers have been known to drink a beer or two post-dive and we at CFD thought we would like to help make your choice of beers less guesswork and more “yes”-work. Yes sir, we will not stop until we have tested as many beers as possible . That’s just the type of guys we are. 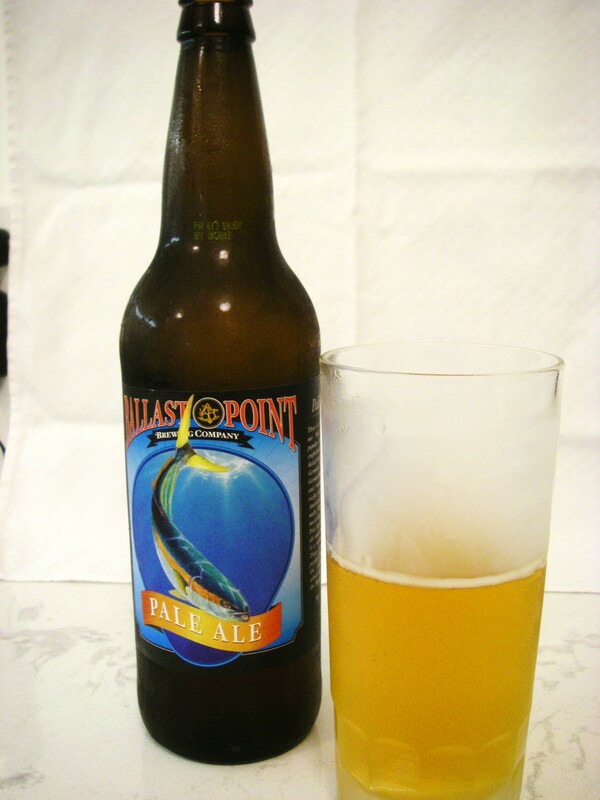 So we’ll get the ball rolling here with Yellowtail Pale Ale from our good friends at Ballast Point Brewery in San Diego. A heady beer with the body and aroma of an IPA, this pale ale is a delicious light amber drink more in the tradition of heavy German ales than some of the domestic lighter ales in the market place these days. It is very hoppy and boy, do I mean hoppy. It’s rabbit on bath salts hoppy. Hoppy I tells ya. It’s not overpowering however. It’s also a somewwhat heavy beer so you won’t want to be drinking a sixer. Luckily it comes in a big 24 oz bottle which IMHO is the perfect serving. It’s well priced at about $4.99 a bottle and can be found in most major supermarkets. Try one out next time your post-dive on a cool fall day. It’ll do you right.